So thankful for Carolina Selfies. Living out of state, I wanted to contribute a fun element to my nieces Sweet Sixteen. The party was a week away, and I was worried no photo booth company would be available on such short notice. I found and contacted called Carolina Selfies on a Sunday, and Yvonne contacted me the same day. She discussed her services and what the best option would be for our party goers. After signing our contract, she sent a few photo booth templates that could go with our theme. Though they were nice, I wanted a different design. By the end of the day, I received a template that I loved! Party Day: The party started at 7:00 pm. Yvonne and Tinya arrived over an hour early and were setup before the party started. Our birthday girl arrived a little after 8:15 pm. Yvonne was kind enough to offer to stay longer. Yvonne and Tinya entertained guests from ages 6 to 60. They had so many props! Everyone agreed the photo booth was a hit at the party! You can tell they have a passion for what they do. I would definitely recommend Carolina Selfies to anyone! 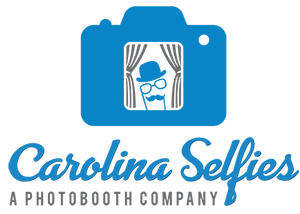 Carolina Selfies was incredibly professional and friendly upon booking Carolina Selfies online, particularly in regards to the rental of the Mirror photo-booth. 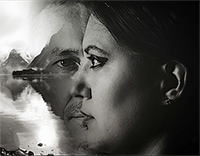 They worked tirelessly to pull off our vision and went above and beyond throughout the process. On event day, they were professional and had wonderful interactions with each guest who came to get their picture taken in the photo-booth. I highly recommend Carolina Selfies for your Photo Booth needs! Extremely fun addition to our event. Carolina Selfies teem were so kind and helpful that they made it so entertaining to take photos, making us come back for more and more hilarious photos. The Mirror Photo Booth interface was nothing like Ive seen before, very modern and awesome templates, custom made to our own wedding and all kind of props available to mix things up. 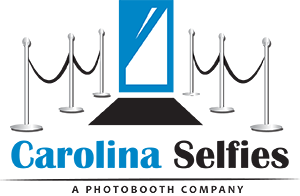 Highly recommend it for all kinds of events! Carolina Selfies was very professional, very affordable and most of all a total blast! Our guests had the best time and went back over and over. The props were terrific and they were great about helping people choose props and take photos. The booth itself is the best out there...you have green screen technology so you can choose from many backgrounds instead of just one. You can grab all your friends and get quite a few people in the picture instead of just a few. We loved how we were given a flash drive at the end of the evening with every single photo on it so we can enjoy seeing all of our guests having a great time. They even designed a logo to print on the bottom of our pictures and it was exactly what we wanted. We were extremely happy that we hired Carolina Selfie. They were awesome!